Launched in 2007, the Manila Auto Salon has been doing its bit for the Philippine automotive aftermarket industry by drawing together the right crowd, the coolest cars, trucks, and other auto machines under one roof. 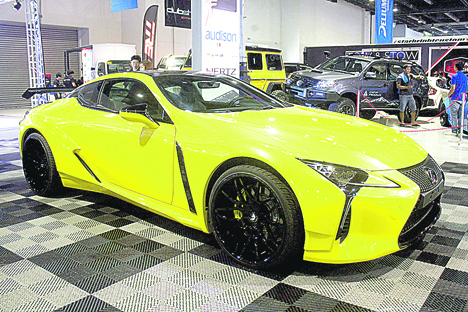 Recently at the SMX Convention Center in Pasay City, the 12th Manila Auto Salon, together with local and international manufacturers, distributors, and dealers in the automotive aftermarket industry took center stage as it showcased the country’s best customizing and tuning geniuses. There were loads of people who flocked to the show to have a look at what’s new and enthusiasts to reconnect with old faces from previous shows to share amusing memories. 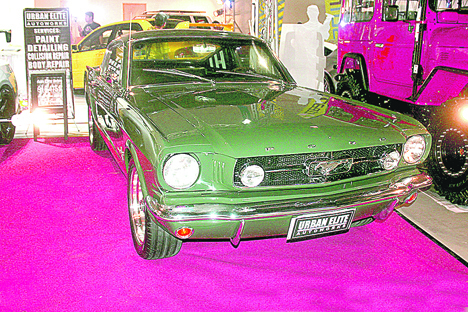 Conceptualized and produced by Tradeshow International, Inc., a veteran organizer of motoring and related events—TransSport Show, Philippine Vintage and Sports Car Festival, Custom Car Show, Sport Truck Show, Philippine Nostalgic Car Show, Club Secretariat for the Manila Sport Car Club—the Manila Auto Salon aims to honor that subculture fraternity of men who offer reliable aftermarket support through their machining and customization talents to aficionados of the custom car/sport truck lifestyle and to other people, ages notwithstanding, who express great admiration for such machines custom built to make bold statements on the road. 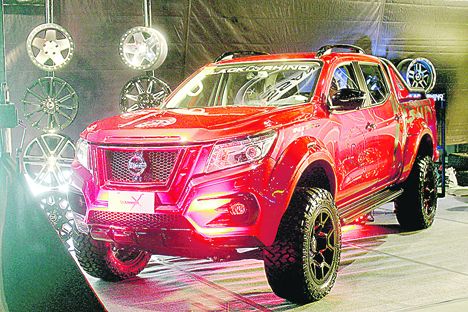 Black Rhino-shod flaming red Nissan pick up. Two shows combined this year to make the event a premiere one: the Custom Car Show and the 24th Sport Truck Show. The Custom Car Show is creating a new artistry and approach among motoring buffs with a healthy focus on building and upgrading vehicles or transforming a once dull street roadster into a juiced sportster all primed for a rumble. Any car, old and not-so-old, or even one fresh out of a dealer’s showroom, gets a face lift, updates of a few things, body mods, functional additions, and customizations to make it unique. What the owner thinks the car lacks, the car gets. From avant-garde body kits and paints to the baddest accessories and extreme engine tuning to make the car the perfect speed machine. The Sport Truck Show is setting the other stage on the growing aftermarket trends for a reanimation of sport trucking muscles and a revitalized horsepower war. The show focused on the many custom shops and their teams who devote their time and talent by using specialty tools in fashioning chrome, metal, fabric, rubber, fiberglass, and plastic into shuttling artworks worthy of an ogle and gush, and a well-stocked inventory of high-quality components, parts and resources to produce these crown jewels on wheels. The show exhibited the best shots it had to offer. Every space on the floor overbrimmed with eye poppers of varying shapes and sizes, power and flamboyance, grace in old age and promises of the forthcoming times. Some of the customizing masters and participants in the show were absolute geniuses in their trade: EXO GTechniq, Autobotstrong, Dobinson, Tough Dog, Jeffâs Off-Road Performance Center, Mickey Thompson Tires and Wheels, Delium, Line X Coatings, Clean Fuel, Revolt, NTK Oxygen Sensor, DDPAI Dash Camera, Rapide, Black Rhino, Pioneer, Urban Elite Autoworks, Dub Shop Pro, Alfred Motor Works, KYB Shock Absorbers, All In 1 Shine, Eurovision OEM Accessories. 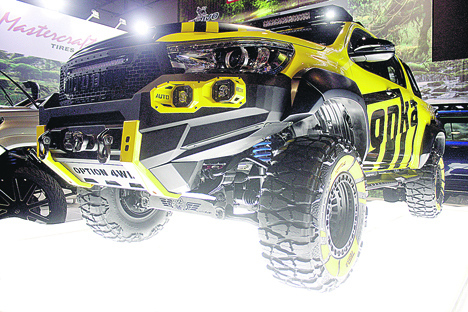 Effortlessly, the matinee idol among the stars in the show was a Toyota Hilux Tonka, fully recreated from scratch—custom-made parts, bumpers, side steps, roof rack, rear cage. That thing is definitely baaaad! 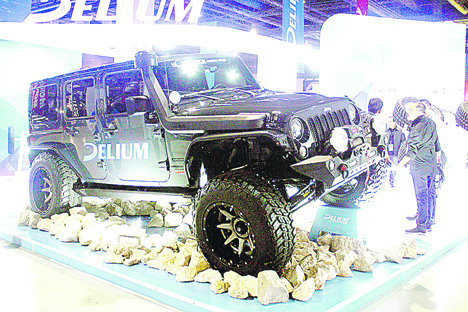 With the kind of bold tires by Delium supporting the Jeep body, it looks tough and armed to tackle off-roading adventure and ready for anything. A real mean-looking dirt ripper, that Jeep is a thundering artwork. Except for some limited exterior refinements, there was little need for anything cosmetic or fancy restoration on this green Mustang. Itâs a good-looking car which can easily dispense with an overly customized dash. Itâs a beauty as it is. Many would aspire to get their hands on it and show off, soaking in the gazing reactions of other drivers whenever a beauty cruises by. 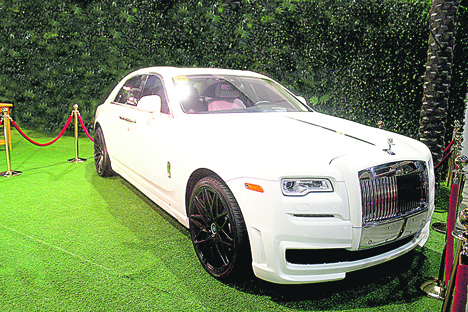 Definitely the high-hatty item in the show was the white Rolls Royce. For all of its years and serious classic looks, it is easy to see why it is an icon of a car and what a well-maintained nostalgia classic should be and much more. For many years, the Manila Auto Salon has been the big wheel when it comes to fine customizing, widgets and accessories, parts dependability, engine tuning, and technical support, from the old school, look to the most radical restyle and spunky power jump. It has become the go-to annual event for customizing enthusiasts who spend mile long minutes drooling over the sharpest-looking customs and body mods. At next yearâs event, donât leave home without your sunglasses. Some of the chrome wheels really shine bright.